If you like, brush still-warm cakes with a glaze made with equal amounts orange (or lemon juice) and sugar, simmered until the sugar dissolves. Makes: Makes about 1 1/2 dozen small cakes or 2 loaves. 2In a large bowl, beat the butter, oil, sugar and orange zest for 2-3 minutes, until pale yellow and fluffy. Add the eggs one at a time, beating after each addition. In a small bowl, stir together the flour, baking powder, baking soda and salt. 3Add about a third of the flour mixture, beating on low speed just until combined. Add half the buttermilk in the same manner, then another third of the flour, the rest of the buttermilk and the rest of the flour. 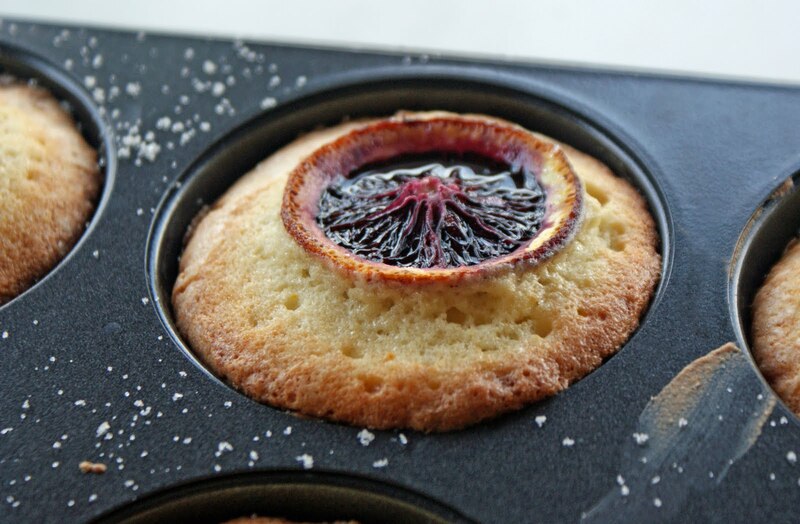 4Divide the batter between lined or greased muffin tins, filling them three-quarters full (or you could fill two 8”x4” loaf pans, and arrange a lineup of orange slices on top); top each with a slice of orange and sprinkle with sugar. Bake for 25-30 minutes for cupcakes or 50-60 minutes for loaves, until golden and tops are springy to the touch. Let cool for about 10 minutes before turning out onto a wire rack to cool completely.